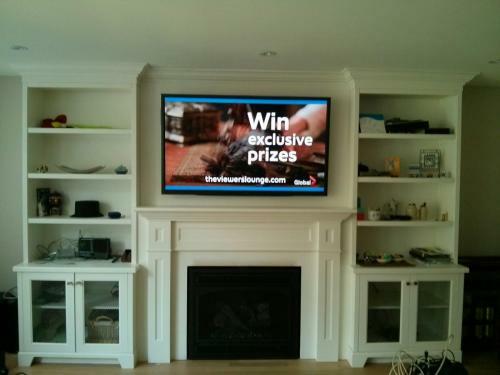 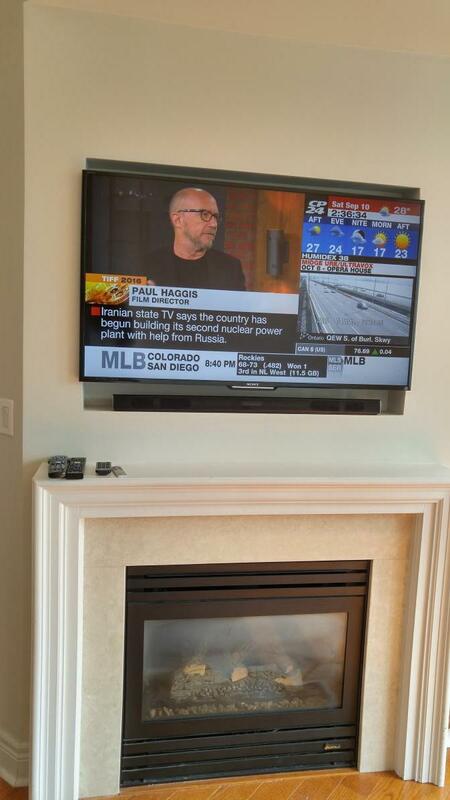 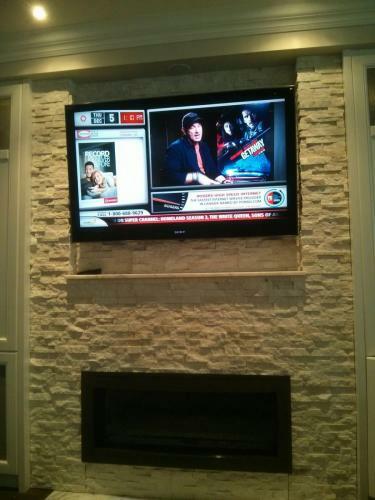 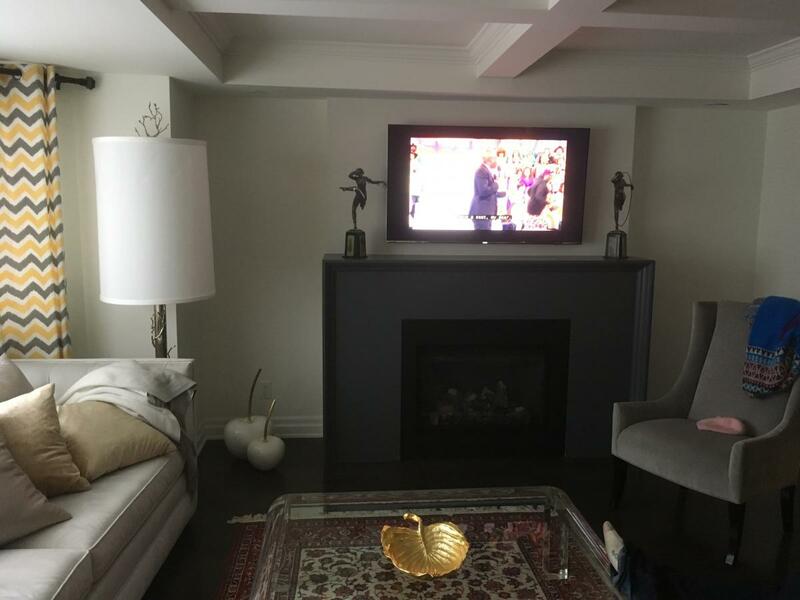 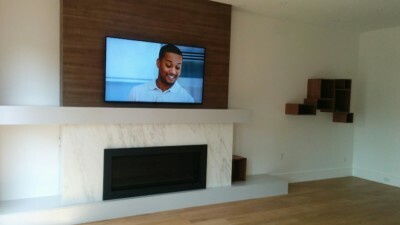 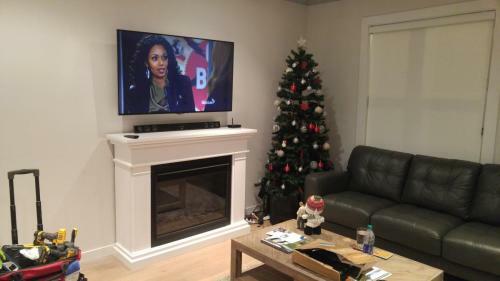 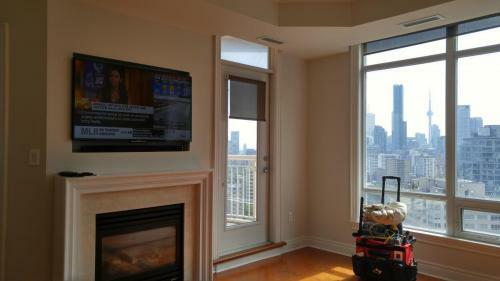 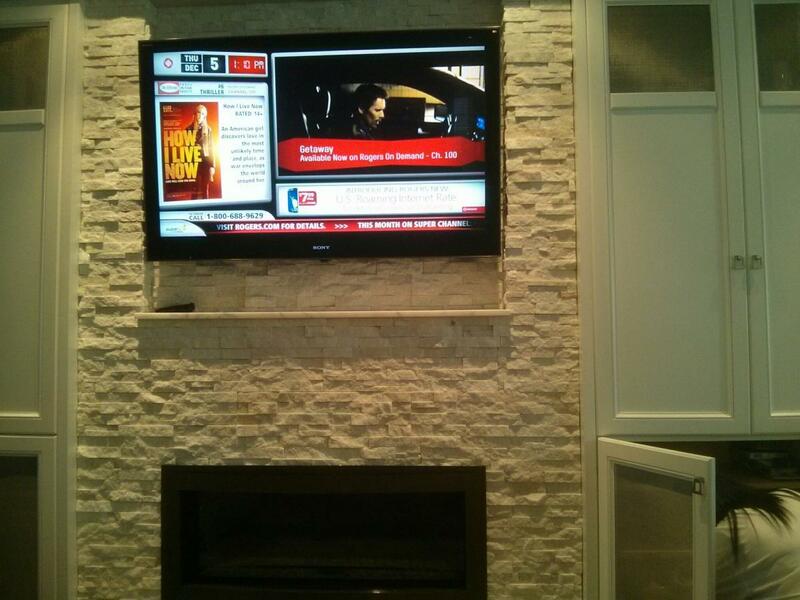 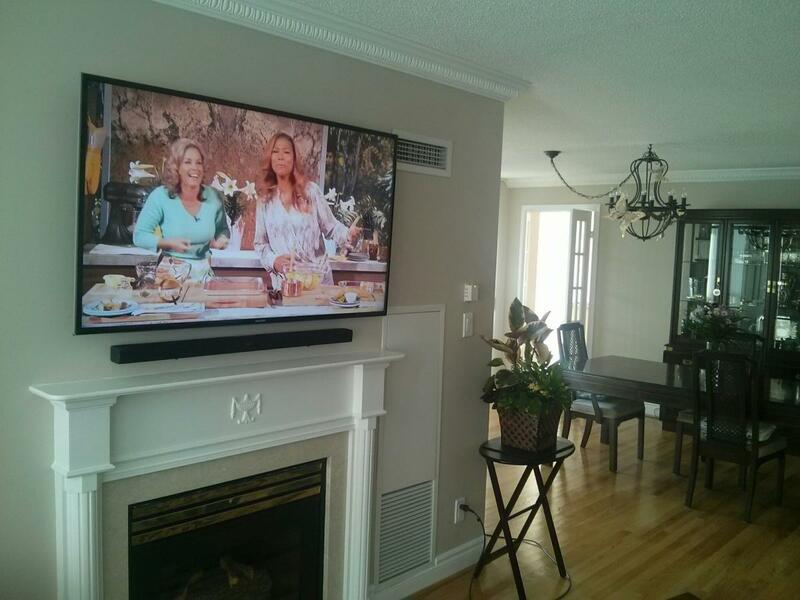 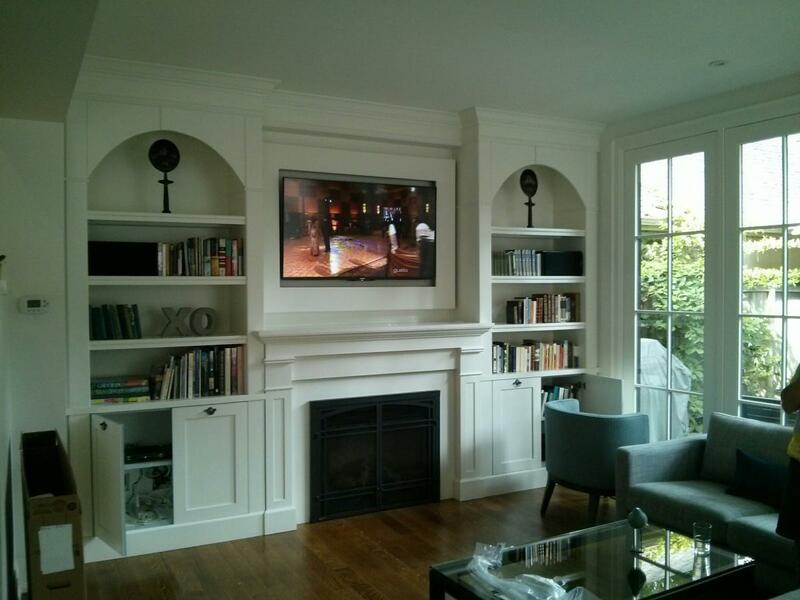 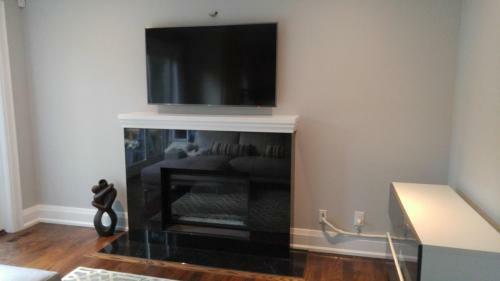 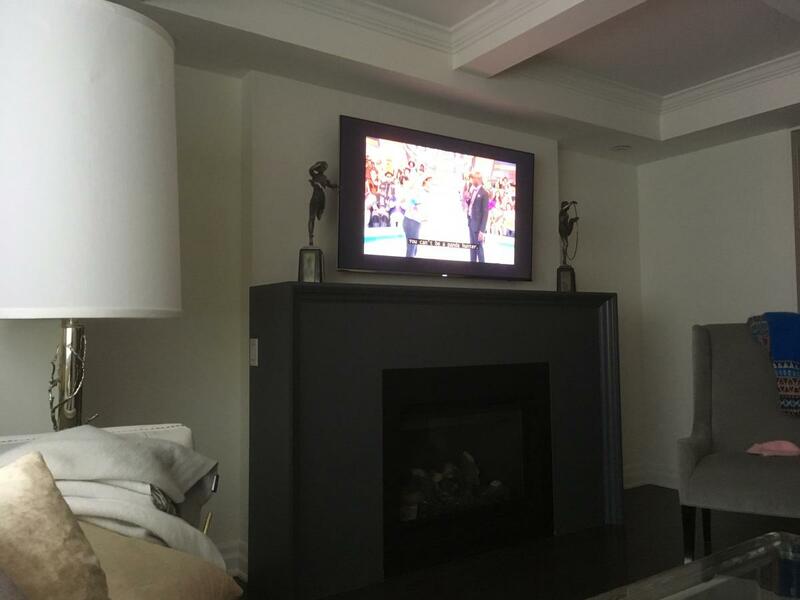 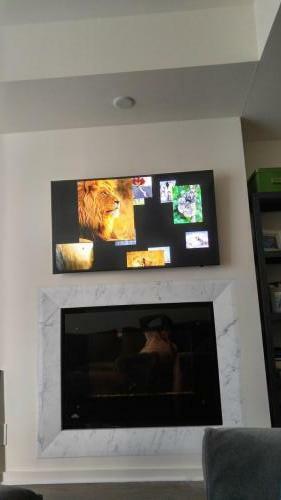 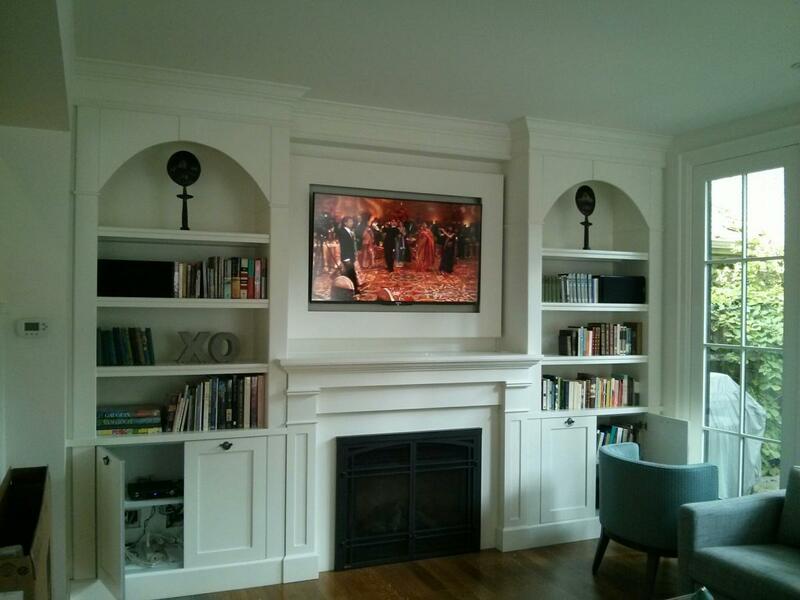 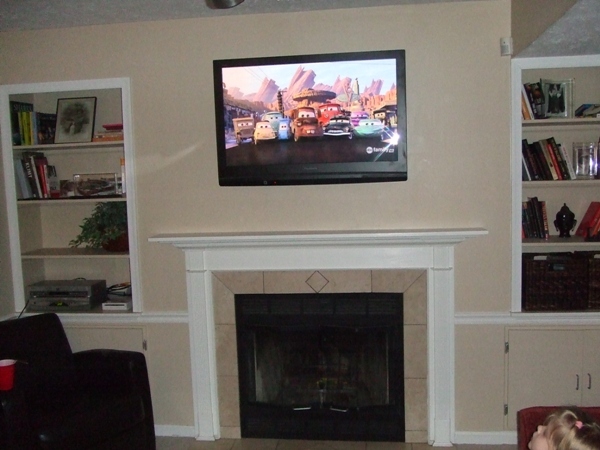 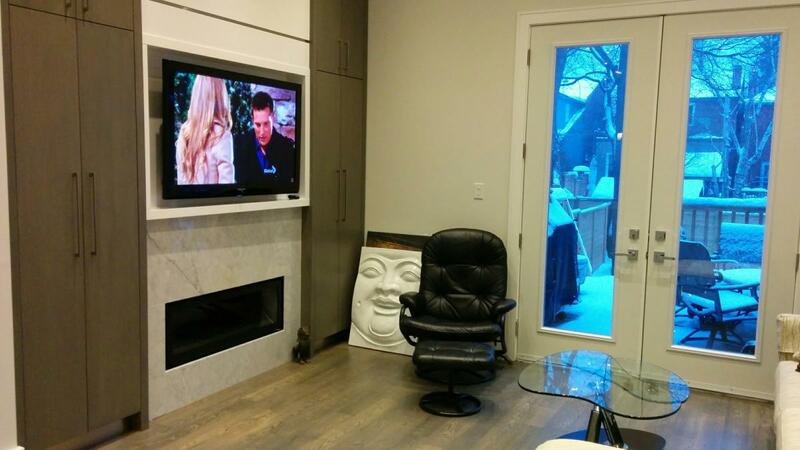 Over the Fireplace TV Installation with AV wires hidden in the wall for a clean look. No home is complete without a fireplace. Having a large-screen TV on top of the fireplace peaks out the elegance of the room. 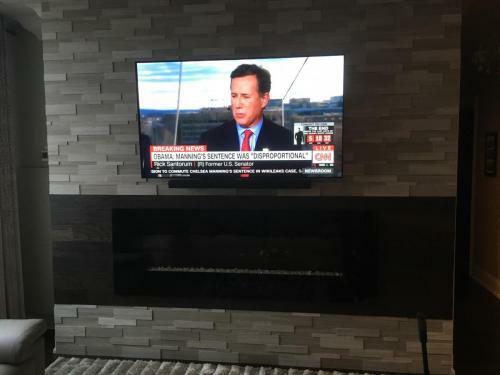 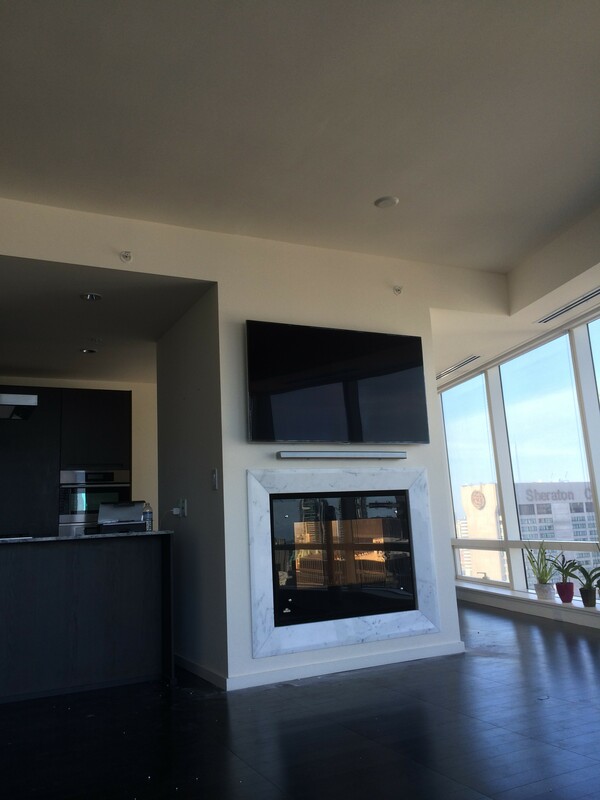 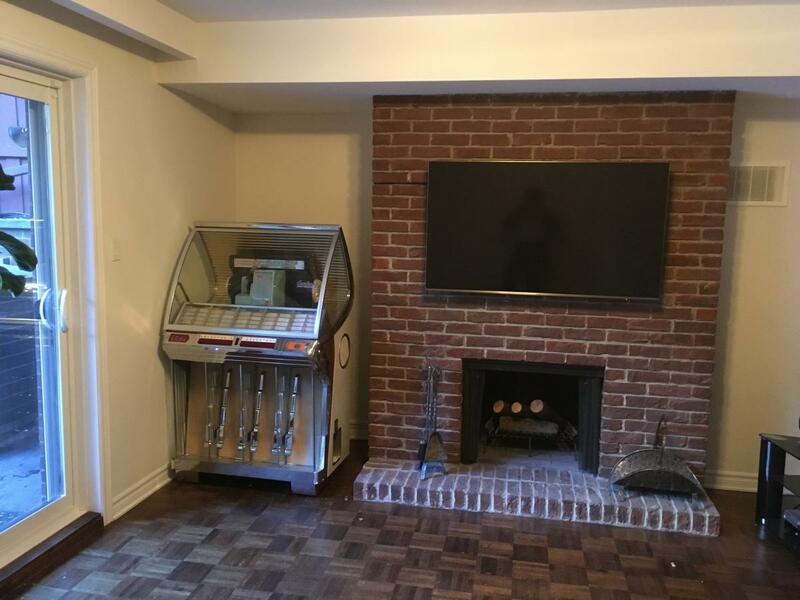 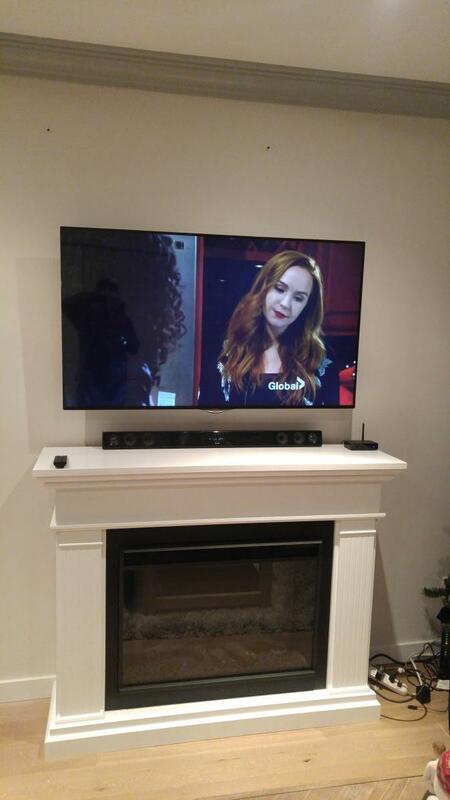 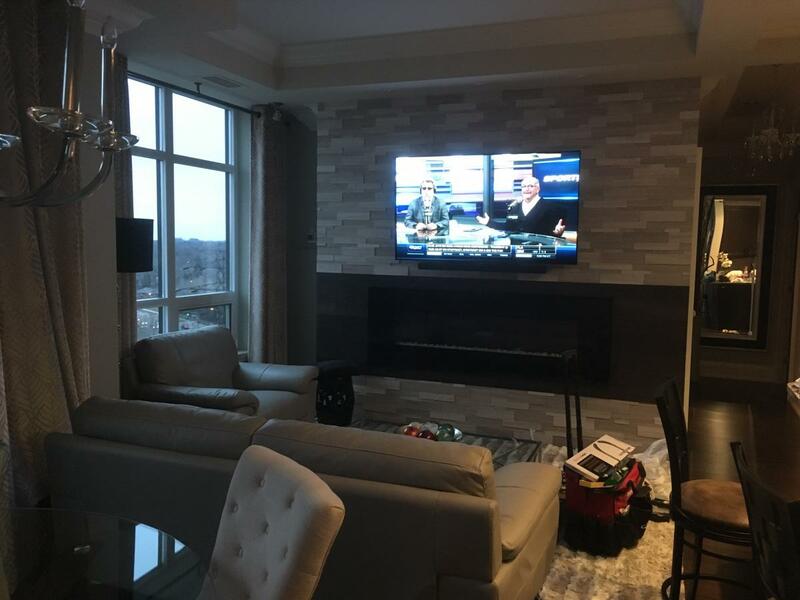 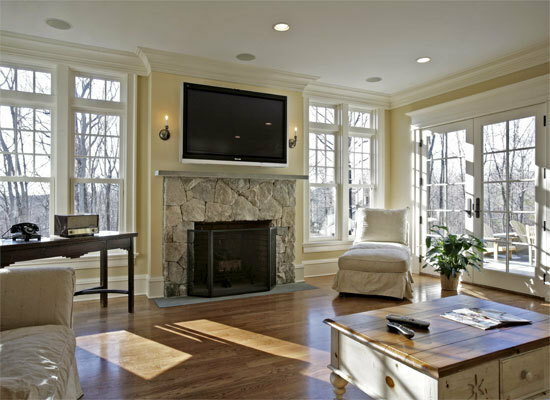 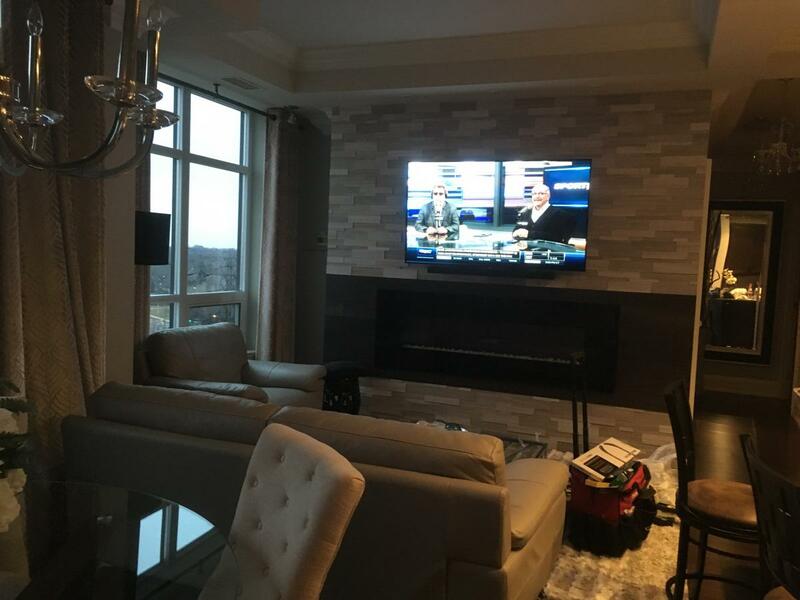 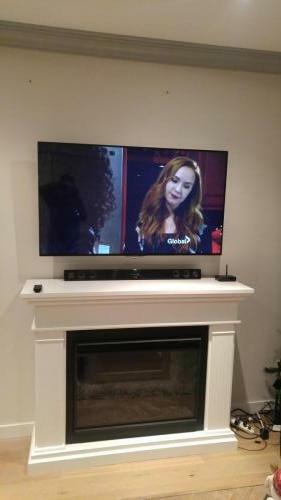 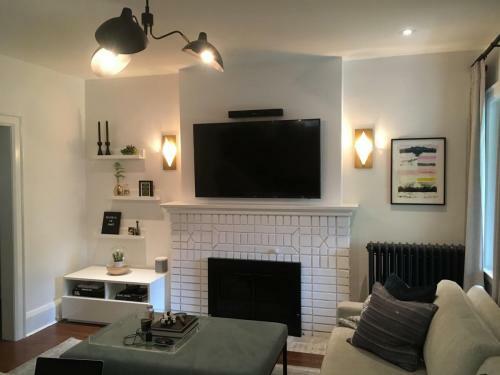 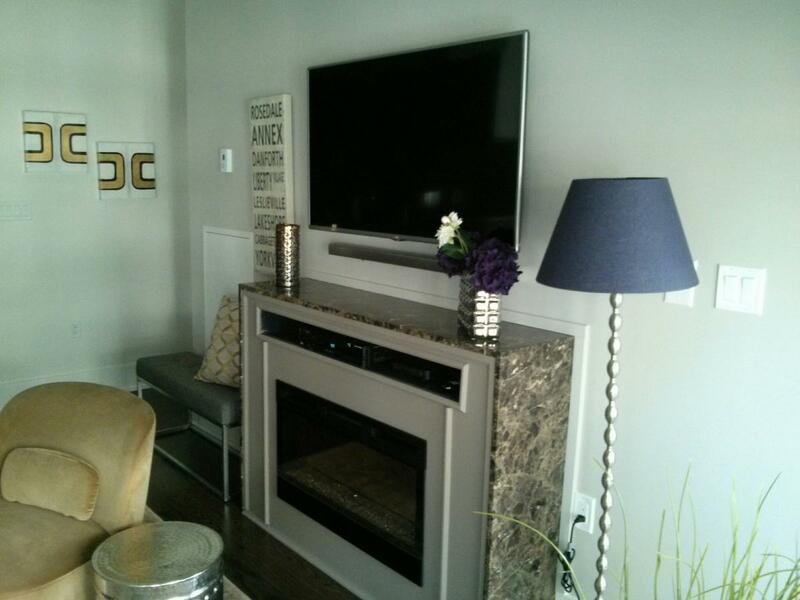 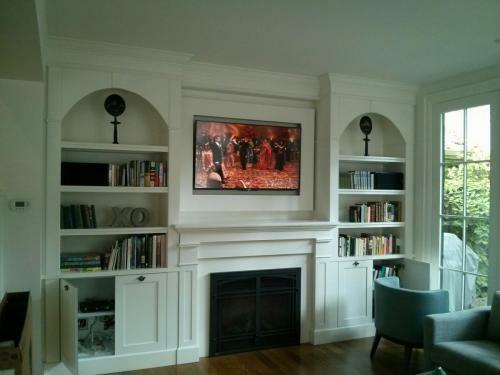 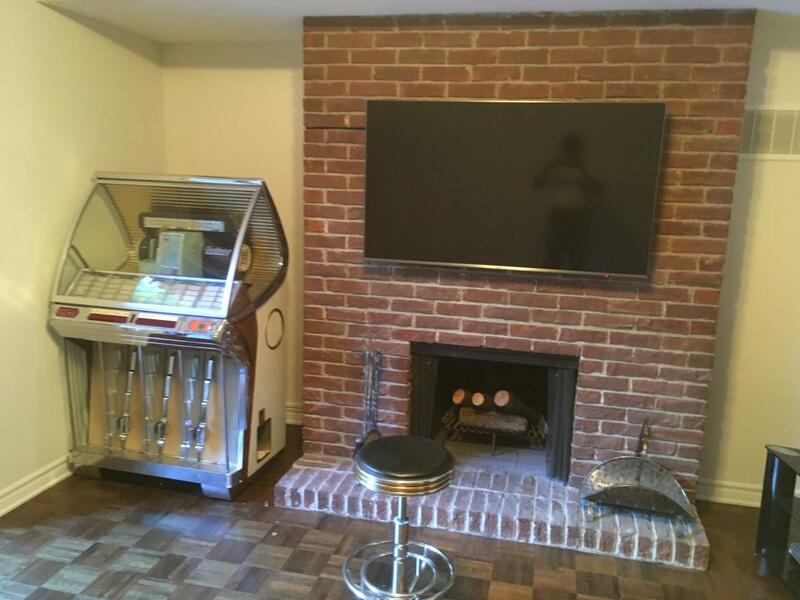 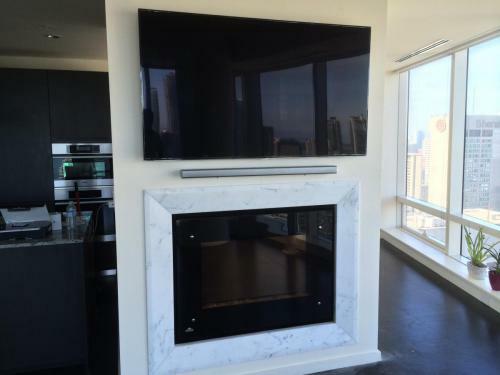 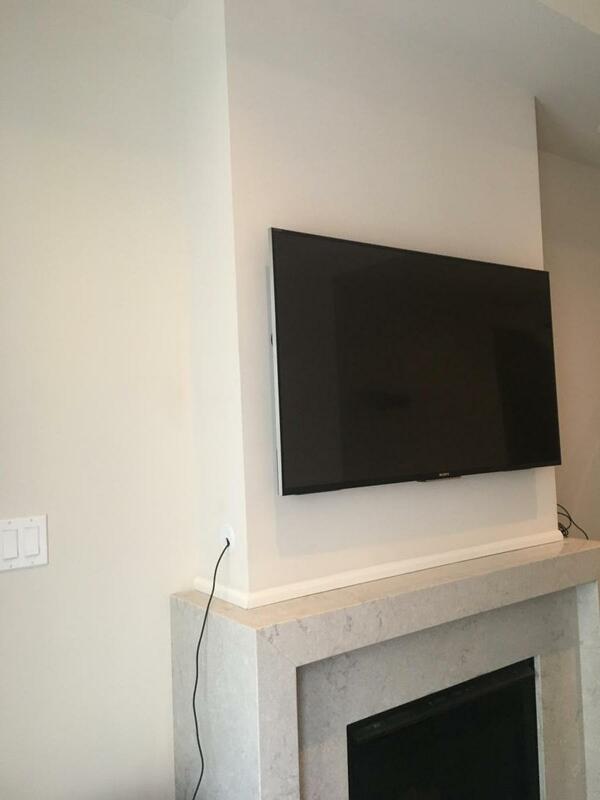 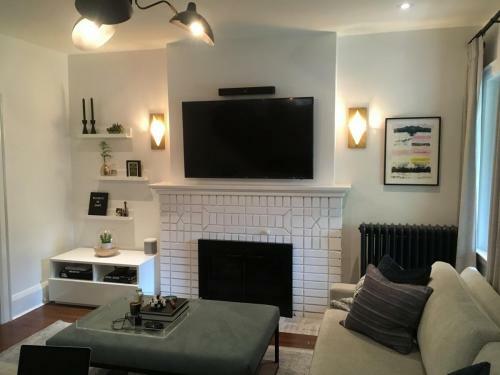 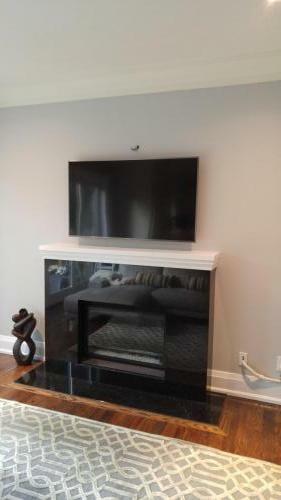 Our team has extensive experience installing TVs on any kind of fireplace surface including granite, porcelain, tiles, marble, brick, MDF and drywall surfaces. 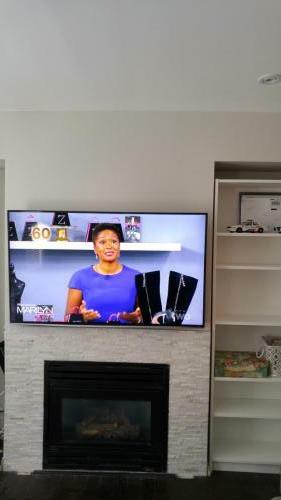 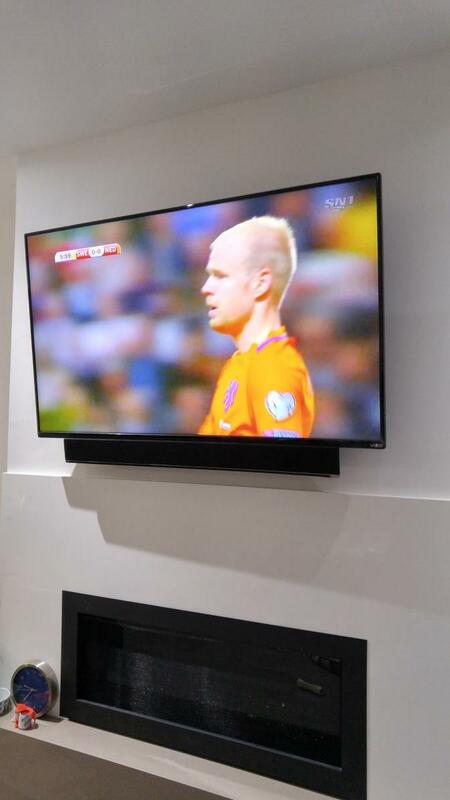 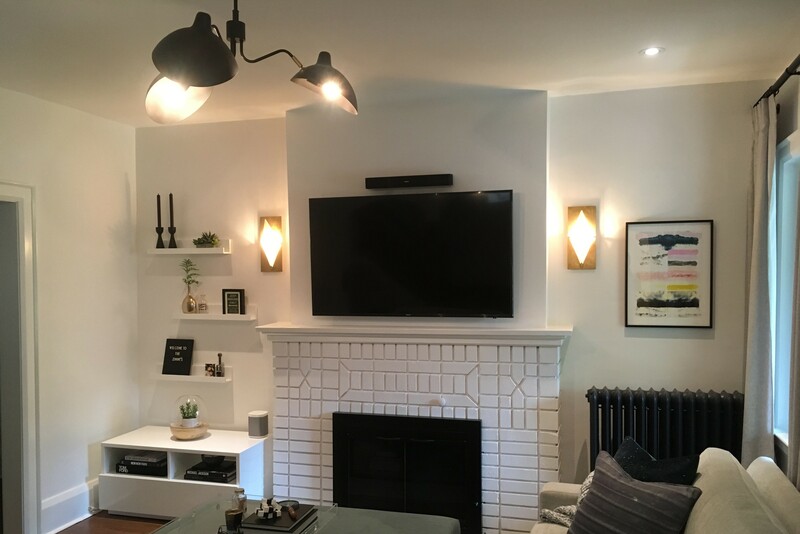 If you have a similar setup and would like to get a speaker and TV wall mount installation , don’t hesitate to call us to get a free quote. You can reach us at if you are interested in upgrade your viewing and listening experience.